After discovering his origins, Damien Thorn must cope with life as the Anti-Christ. Rutledge and Lyons target those around Damien. Damien makes the ultimate sacrifice. Damien asks for Sister Greta's help and Simone uses Veronica to get to Rutledge. Unexpected assistance arrives for Damien; Det. Shay locates Damien's old friend. Simone aids a mysterious figure; Rutledge offers Damien something he truly desires. Did Outlander's Claire Forget Murtagh? Did Exorcist Spoil Twist? The Week's Best Arrowverse Fight? And More Qs! How many episodes of Damien have you seen? 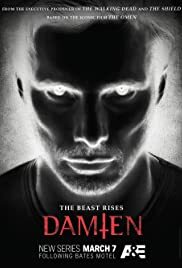 To bring the end to all God's creation Satan's own Son must rule over all nations as prophesied before.Damien Thorn has to accept his destiny as a latter-day Antichrist.Despite his human nature and emotions, his diabolic origin would eventually prevail. 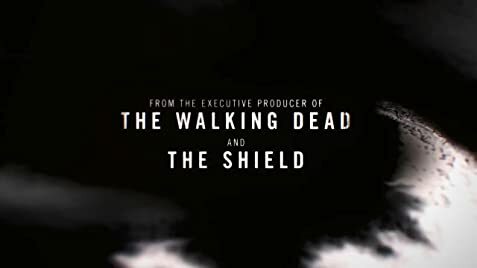 Q: Does the first season have an ending that can be considered "closed" in some way, or does it end with a cliffhanger for a second season that won't happen (now that it's been canceled)? I have just finished watching the first episode of Damien and enjoyed it overall, unfortunately let down slightly by poor acting from Tiffany Hines and Megalyn Echikunwoke who both had the emotional range of a brick but Bradley James was good ( I mean I never expect top notch acting but surely an actress should be able to conjure a few tears when called for ). The use of footage from the original film was well used and gave us just enough to jog the memory without having to watch it. But if you have not seen the original film then get watching but don't watch any of the others ( just don't! its not pretty ). So Overall 7 out of 10 for episode one.